The Adopt-A-Spot program allows groups and individuals to be active participants in helping to maintain the natural beauty of Auburn’s campus. By adopting a spot, volunteers commit to performing monthly litter collection and recycling in their adopted area of campus for a period of 1-2 years. 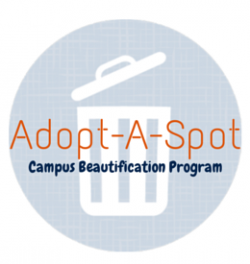 To learn more about the program or to adopt an area of campus, please visit the Adopt-A-Spot website or email adoptaspot@auburn.edu.